Celebrity Smile contains 0.1% Calcium Peroxide, which is the one of the most powerful tooth whitening agent on the market. 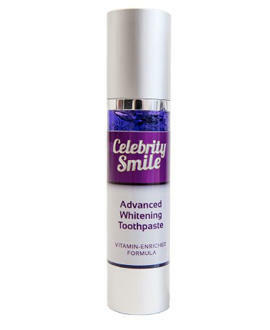 A unique formulation, designed to create the ultimate Celebrity Smile. Popular with celebrities, spa’s and salons with clients returning again and again.